Ordering a new Oki toner cartridge does not have to leave you short on cash. We have a lower price guarantee which means that our toner for the Oki C821 dn laser printer are really cheap. Additionally, we strictly test and validate every single Oki C821-dn cartridge to check you'll get total customer satisfaction. Forget about paying costly high-street prices. Putting up with a bad quality Oki C821dn toner cartridge isn't ever a very good idea. For that reason, we give you a full money back guarantee so there's no reason to feel you've been left unhappy. We'll give you a complete refund if your Oki C821dn toner isn't able to meet perform reliably. Buy now at Cartridge Save and start saving! 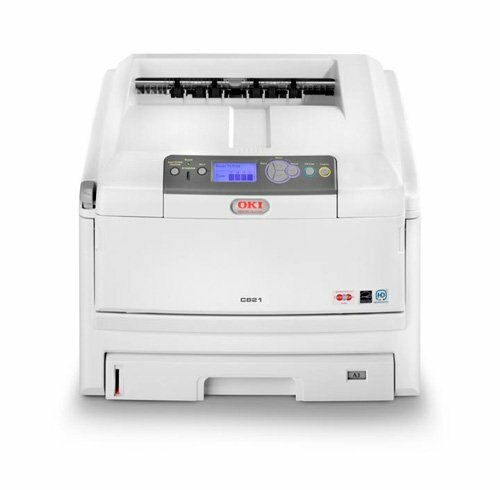 The colour laser printer Oki C821dn is favoured by workgroups and offices for its versatility. This unit can handle media as large as an A3 and it has a monthly duty cycle of 75,000 pages. Print resolution can go as high as 1200 x 600 dpi, and output quality is good. The Oki C821dn A3 colour LED laser printer is slower than comparable printers, though. It's very easy to operate the Oki C821dn printer as it has a monochrome LCD display and function buttons on its control panel. The paper trays can handle more than 1,400 sheets at a time with the use of optional trays. Print speed can go as fast as 32 ppm for monochrome and 22 ppm for coloured. For connectivity, the C821dn laser printer provides USB, Ethernet and parallel ports. With the Oki C821dn colour laser printer, users can save a lot of resources as it comes with high-paper handling capacity and an automatic duplexer for double-sided printing. Expect great output, from coloured images to black and white text documents. The reliable Oki C-821dn is very fast when printing in monochrome, and it offers built-in Ethernet for easy networking. To save money on toner, users can buy a pack of original Oki C821dn laser toners instead of acquiring the four colour cartridges separately which inevitably costs more. There are other workgroup printers that can offer higher paper handling capabilities than the Oki C821dn A3 duplex network colour printer. This model is also comparatively slow. There are inkjet printers that can deliver coloured output faster than the Oki C821dn.